Scott, the DCski Editor asked me to post here since he is a bit busy. Scott normally does a nice edit, please forgive any issues. Nothing better than those first few turns of a new snow season. Anxious to see if losing weight and gaining muscle along with a new set of skis would make a noticeable improvement. Seemed to take the cold air a long time to settle for snowmaking operations to begin. 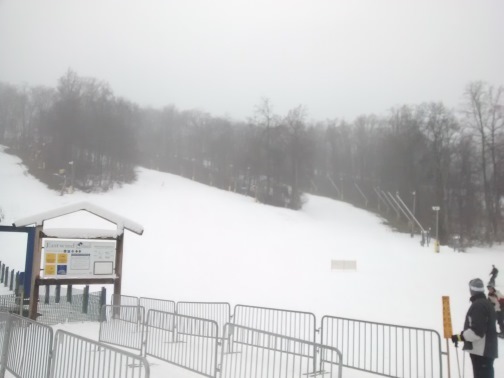 Enough snow was made at Liberty Mountain Resort to cover 10 of the trails with a base of 8 inches. Surface ranged from packed powder, some hard pack and some stashes of powder could be found. Variable would be a perfect word. I took a class lesson and see what the instructor can tell me to work on this year. A very good idea and my class being made up of just me and Dave the instructor. I know Dave from race camp. Dave taught me two drills and off we went trying them out. Friday, I returned with Al and we began the drills from last night. I now can easily do the drills. Weather, was a grey day, with fog, and drizzle mix. Tough to see due to moisture build up on goggles. Two more trails opened up, Front Blue Streak and Back Lower Heavenly. Snow was a nice soft surface and held an edge nicely. Visibility was more of an issue today. No crowds, or waits over the last two days. Overall two days of fun, friends and the feeling that no other sport provides. The weight loss/ muscle power gain was evident both days. Two days and many more to follow. Starting Monday, a nice prolonged span of cold temperatures will yield another 70 inches or more snow this week on the slopes. Every day the trail count will grow, bases will grow, and expect the condition ratings to go up daily. 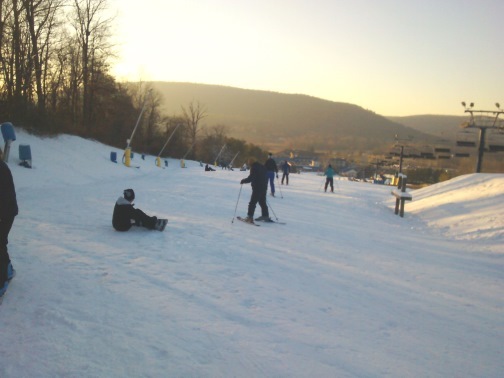 skidomeorg.blogspot.com Skidome’s blog has updates 3 times a week specific to Liberty, Roundtop, and Whitetail. Weather briefs, events, and conditions. Ed has been skiing locally for 20 years. Started the NCC program and enjoys ski racing, photography, and video.